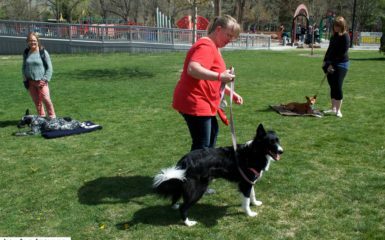 Michelle, a Salt Lake City dog training client, came to us with a very fearful border collie, Teddy. 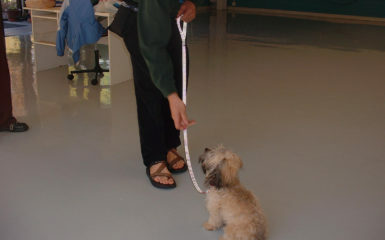 Teddy had nipped a few people and was not comfortable around new people especially in his home and on hikes. Michelle was feeling stressed that her dog might scare other people. So far there had been no serious bites, but the lunging and nipping was definitely a bit scary. Michelle really wanted to feel confident that Teddy could control his anxiety more and that she could feel at peace with him around other people. As a result, Michelle consulted with us and chose to do nine private sessions program over Skype. 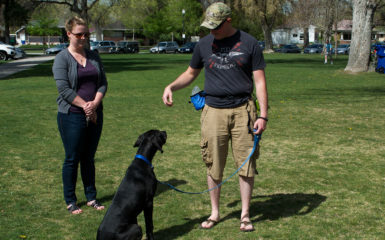 We met weekly online, and I demonstrated the commands that Teddy was to learn. Michelle practiced them in her home while I watched her on Skype. Once she had complete understanding, we moved to the next command. 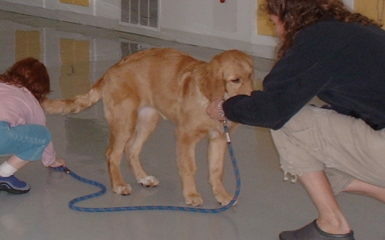 Each week we built on Teddy’s commands until he was able to be more calm and confident around people. We worked on training Teddy the following commands come, target, watch, place (going to his bed), stay and recognizing his name. We began by teaching the commands in a basic fashion. Once Teddy could listen well to these commands easily with no distractions we began adding distractions such as door knocking, a bell ringing, food distractions, etc. This is called proofing and basically means that Teddy is learning to listen to these command when he is minorly distracted. Once Teddy could listen to these commands well around minor distractions, we began to add visitors into the picture. At first Teddy was scared and didn’t want to listen to any commands in the presence of new visitors. However, we worked with numerous guests and Teddy became very responsive to all of the commands in the presence of these guests. Teddy also learned that people meant good things were coming (‘treats!!!”). As he associated the visitors with treats he began to approach them faster and became much more calm and confident than he use to be. Michelle and I also worked on teaching Teddy to go to bed (“place“) when someone (such as a visitor) would come to the door. I was impressed by how both Teddy and Michelle caught onto this process quickly. 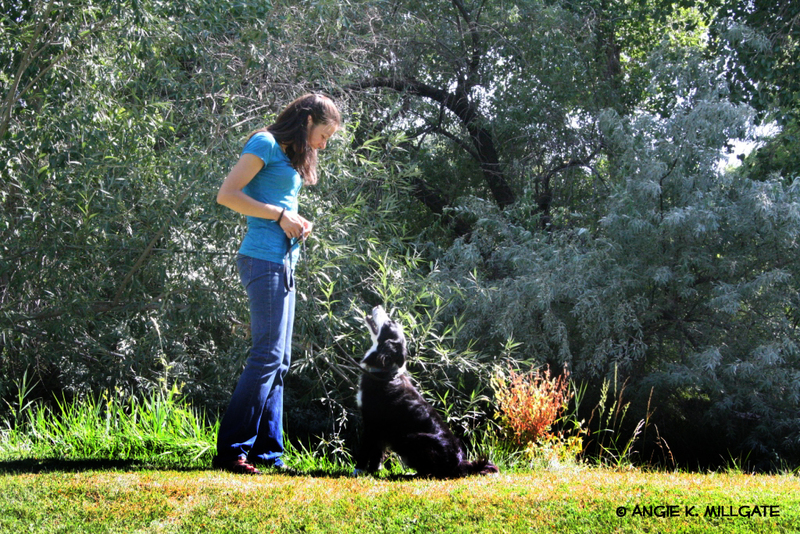 Four Legged Scholars LLC, Salt Lake City, Dog Training is very efficient and can help people easily with many behavioral or obedience issues online over Skype.